From our family to yours, we hope all of you are having the most joyful holiday season with your friends and family! This is truly the most wonderful time of the year! 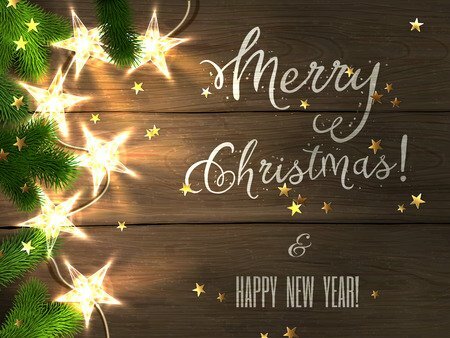 Merry Christmas and a very Happy New Year! Bathroom remodels can take your out-dated, over-used bathroom to the next level. Updating your bathroom can help increase the value of your home and increase interest in future buyers. Luckily, remodeling your bathroom does not need to be an overly expensive project. To help you during your redesign, we have created budget-friendly design ideas that you can begin using today! We hope you enjoy! Create Drama. Who could imagine that creating drama would be a good thing? In your bathroom it is the perfect way to help add character. Look for a dramatic mirror to install above your sink. If you can not find the perfect drama in a mirror, you can incorporate some bold decorations for the walls. Do Not Be #Basic. How long have you had that same color on your bathroom walls? Updating the paint color on your bathroom walls can take your room from drab to fab. Bathrooms are the perfect room to experiment with unique, bold colors like navy blue or emerald green. The possibilities for your walls are endless; you just need to purchase a paint can! Add Rustic Charm. Take a trip to your local antique shop to search for antique, rustic accents. You can create a rustic towel holder by finding antique door knobs and placing them on a wooden board. Screw the door knobs into the wooden board then hang the board on your walls. Voila, you have vintage piece that is unique and affordable! Embrace The Natural Light. Make sure you take advantage of all the natural light your bathroom has to offer. Open up your curtains during the daytime and let the natural light flow through your space. Be sure to update your current light fixtures if they seem out-dated and dim. Clean out Your Cabinets. 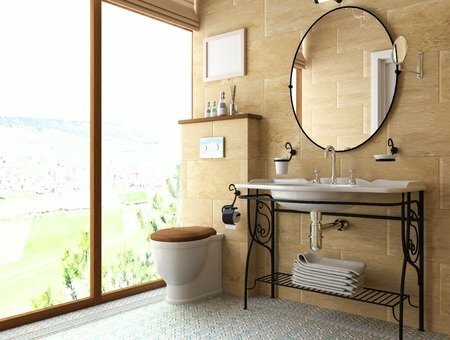 A great way to update your bathroom is to clean it! Empty out all of your cabinets and drawers and reorganize them. Repurpose Old Furniture. Before you get rid of that old dresser, consider adding it to your bathrooms space. With a fresh coat of paint and some new door knobs, your dresser can become a breath-taking piece of furniture. Spice up Your Vanity. Let your vanity be a clean, representative of you. If you love to do your makeup, buy a stylish holder to store your makeup brushes. The makeup brushes can serve as a unique piece of decor that adds style and function to your space. Finish your bathroom off with affordable flooring from Century Tile & Carpet. We can help match you with the perfect flooring for your home at a price that meets your budget! We are your flooring experts! All White Floors – What’s the Craze? From social media to your favorite home decor magazine, we’ve seen the lustrous all white floor look. It’s simply pure and chic. Have you been considering stepping outside the box and jumping on the all-white floor bandwagon? Before you make the final decision, you’ll have to consider the bad, the good and the ugly. There are some things you should know about an all-white flooring scheme. Is It Ideal for Your Home? 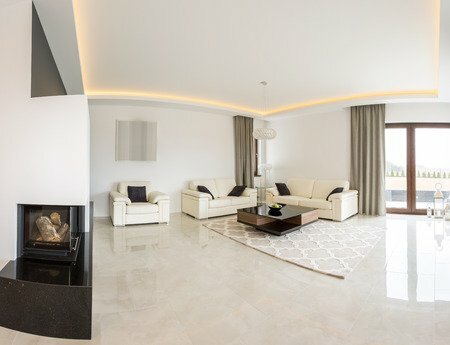 Before visiting Century Tile, you’ll have to first determine whether all white floors are ideal for your living space. It largely depends on your lifestyle. If you have children and pets then a white flooring scheme can a be a challenge to maintain. White flooring requires regular maintenance to keep looking glossy and new. If you live in a household with children and pets than the maintenance process may be more intensive. Can you handle it? Glossy white floors can make a small space look bigger than what it actually is. It reflects natural light, casting the glow all around the room which can really make the space appear dreamy. Of course, the biggest challenge that comes with having white floors is keeping them clean. The type of flooring material is a big factor in the maintenance process. Laminate and tile white flooring can be easily cleaned with a general cleaning agent. White carpet will be more of a challenge with stains. Daily vacuuming or sweeping is necessary especially if you have kids or pets. You’ll also have to make an investment in quality cleaning tools. You can consider implementing a “no shoes in the house” policy to keep mud from being tracked indoors. In addition, area rugs will help minimize the dirt as well. Keep in mind that keeping white floors squeaky clean will be a never-ending challenge.